two local chiefs, Mahodara and Chulodara. 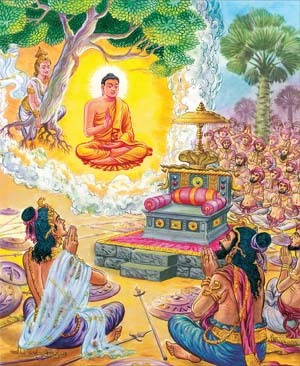 Next Sil Observance Day at Mahavihara is Sunday, the 21st of April, 2019, to mark Bak Poya Full-Moon day which falls on Friday, 19th of April. Sil Program starts at 8.30am and concludes at 5.00pm. Participants are kindly requested to be in the Dhamam Hall by 8.15am. The program gives an opportunity to practice morality and spend the day in physical and mental awareness away from usual household responsibilities. 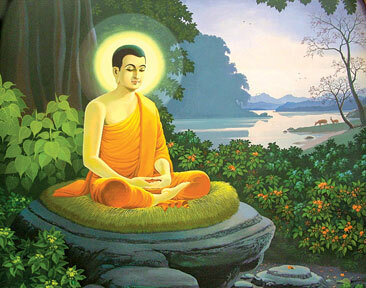 Devottees will listen, observe and discuss Buddha's teachings throughout the day. Please make use of this opportunity to develop spirituality. For the annual Poya Program and other details, please click the "Poya Calendar" button on the right. Retreat Registration Closing Date: 31st Jan. 2019. Toronto Mahavihara would like to make an advance announcement of a 10-day meditation retreat to be conducted by Ven. Uda Iriyagama Dhammajeeva Thero during the period of Tuesday the 18th to Thursday the 27 of June 2019. Attendance registration and discussion of of retreat instructions is scheduled for 17th of June at 5.00pm. Those devotees who opted to stay in the motel may check in after 2.00pm on 17th of June. The retreat will be held in Toronto Mahavihara Dhamma Hall and the participating Yogis can be accommodated at the Motel: Knights Inn, adjoining the temple. The organizing Committee is in touch with the Motel management to reserve the required rooms. More information will be made available after confirming the reservation. Retreat registarion closing date is 31st of Jan. 2019. Registration link: Click Here. Meditation sessions are conducted on every Tuesday Evenings starting from approximately 7.00pm until 8.30pm. at Toronto Mahavihara Dhamma Hall. These sessions are conducted by Bhante Atulo. 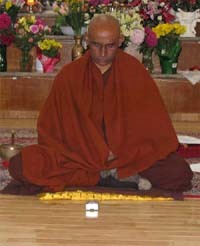 The general program consists of chanting, followed by about 50 minutes of meditation. The program closes with a Dhamma talk, after which, the floor is opened for questions. 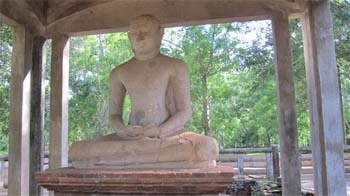 The Dhamma Talks delivered during these sessions are available for listening and downloading at the "Dhamma Talk" Page. "With Each and Every Breath" by Thanissāro Bhikkhu, which also has a "companion audio recordings". "Keeping the Breath in Mind" by Ajahn Lee. It is recommended to wear loose fitting clothing such as T-shirts, long sleeve shirts, and loose-fitting pants during meditation. In general, it is best to avoid tank tops and other tight-fitting or form-revealing clothing. ALL THOSE WHO ARE INTERESTED IN MEDITATION ARE WELCOME. Construction of a new Building for Monks' Residence. As approved at the AGM of the Toronto Mahavihara Society held on 15th of March 2015, the construction of a new Building for the residence of monks is presently in its planning stage. The Construction Project Launching Ceremony was held on 17th of April 2016 in the presence of a large gathering of especial invitees, members and friends. The new building will mainly provide additional space for accommodation of monks. In addition it will also benefit the entire Buddhist community including children as a place of religious veneration of the monks. 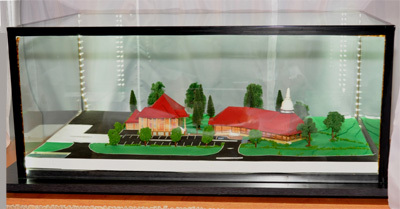 A 3-d Model of the new building was unveiled by Venerable Udupihille Wimalabuddhi Thero and Dr. Sumithra Peiris while Jayamangala Gatha were being chanted. Committee of Adjustment of City of Toronto unconditionally approved all minor variances on proposed design of New Monastery phase 1 and 2 on 19th of July 2018. The phase 1 is the construction of main residence building and the phase 2 includes repurposing the upper level of Dhamma Hall as a temporary residence for the monks during construction of the residence. Toronto Mahavihara conducts Sutra Discussions to enable our Dhamma friends to gain and share the Buddha's teachings. The discussions are held once a week on Wednesdays from 7.30pm to 8.30pm and normally one Sutra is taken up each day. The discussion are conducted in English. This is a very beneficial opportunity to reassess what you already know, enlarge upon your current understanding and explore new areas of Dhamma knowledge. Those who are interested are most welcome for these discussions. The Sutra group will assemble in the Dhamma Hall at 7.00pm prior to the discussion time and spend half an hour on meditation. Please join this group sitting meditation and practice what you have learnt from the Suttas so far. 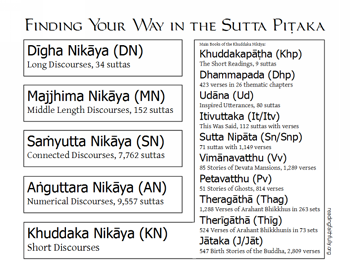 The Sutras that are being taken up for discussion currently are listed in the "Thematic Guide to the Anguttara Nikaya" chapter (page 75) in the English Translation done by Bhikkhu Bodhi. The Sutra that is scheduled for the next Wednesday is indicated below. Please click here for Anguttara Nikaya Part I, English translation. Please click here for a list of previously discussed Suttas. Meditation sessions are conducted on Sundays, from 8.30 to 10.00am except on Poya (Sil) Sundays. Please check the Poya Calendar in the right column for Poya (Sil) days on which devotees will observe Eight or Ten Precepts and this Meditation program is not held.